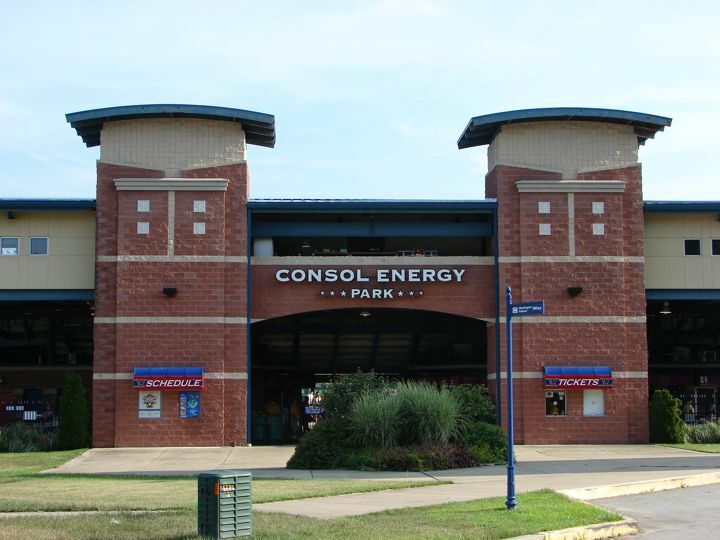 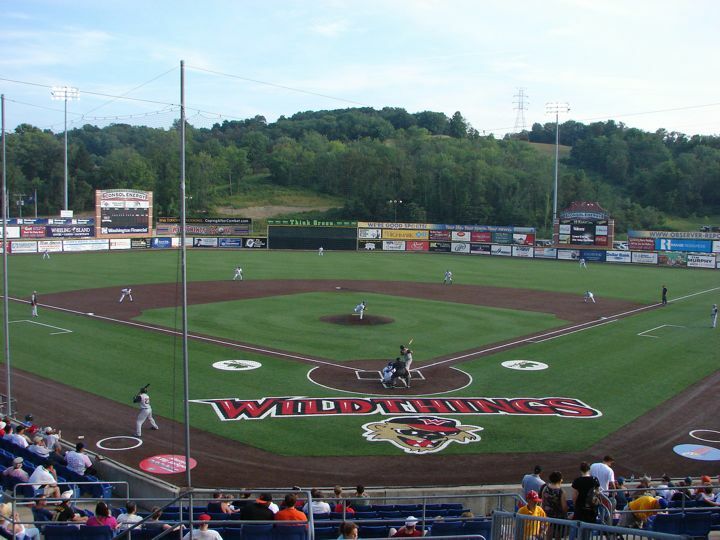 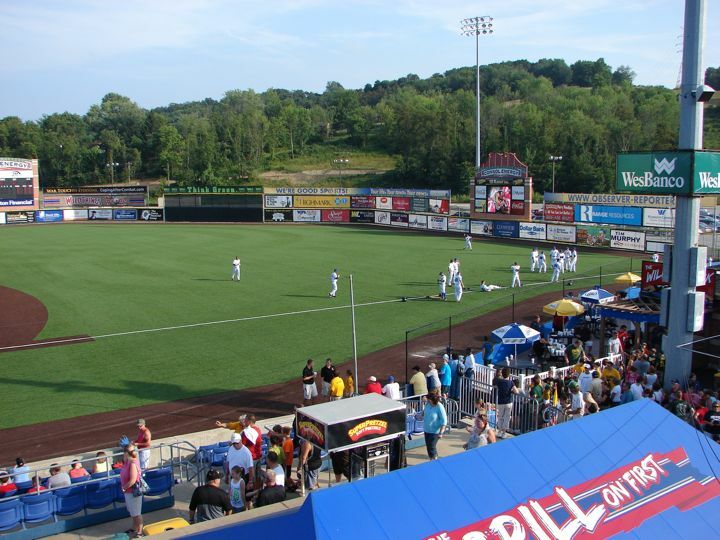 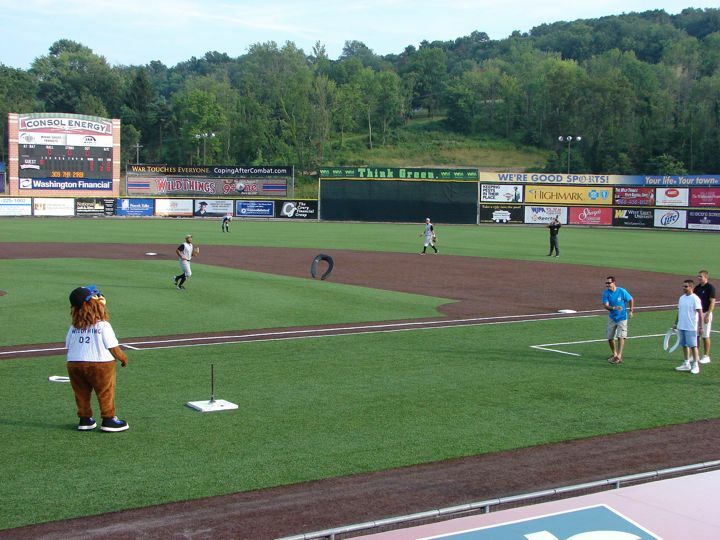 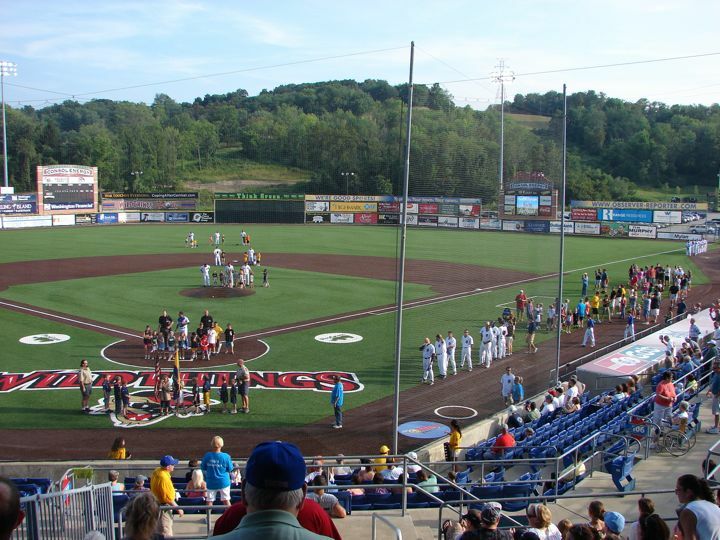 The Washington Wild Things, a Frontier Independent League team, plays at CONSOL Energy Park, which was opened in 2002, seating 3,200. 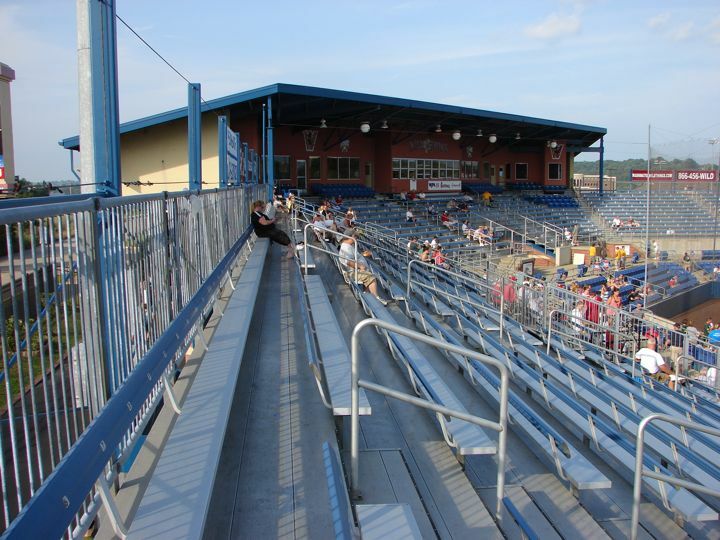 Initially it was named Falconi Field after the man who was instrumental in getting the stadium built. 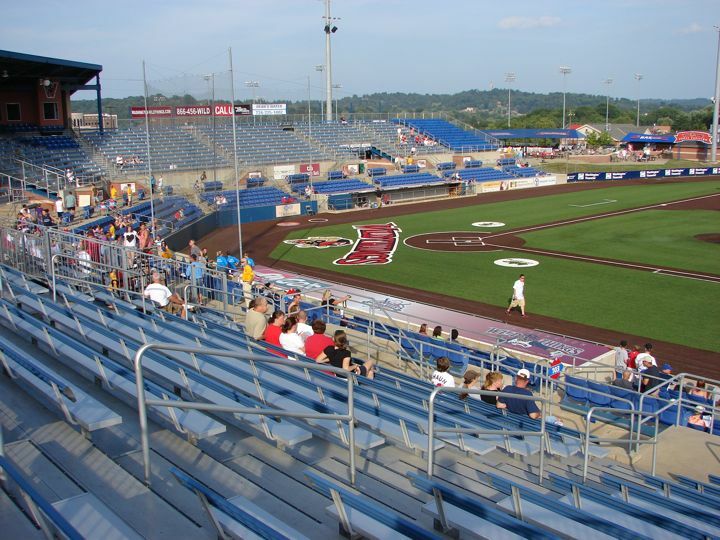 The stadium seats 3,500. 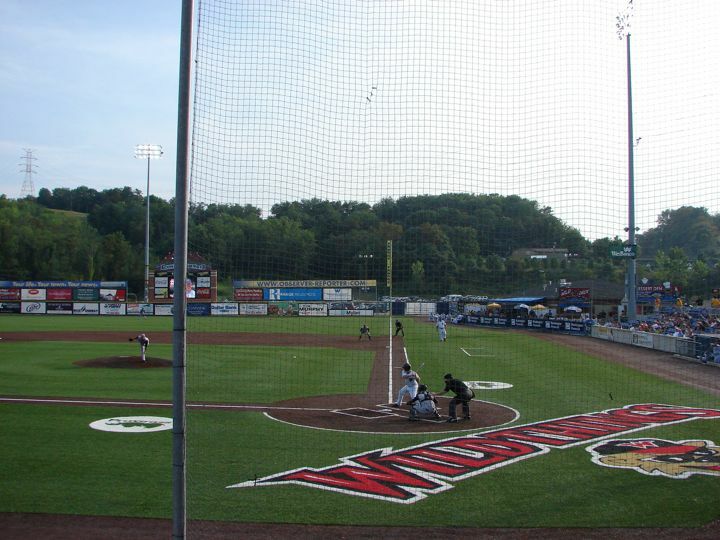 The Wild Things have won five division titles in the past nine years. 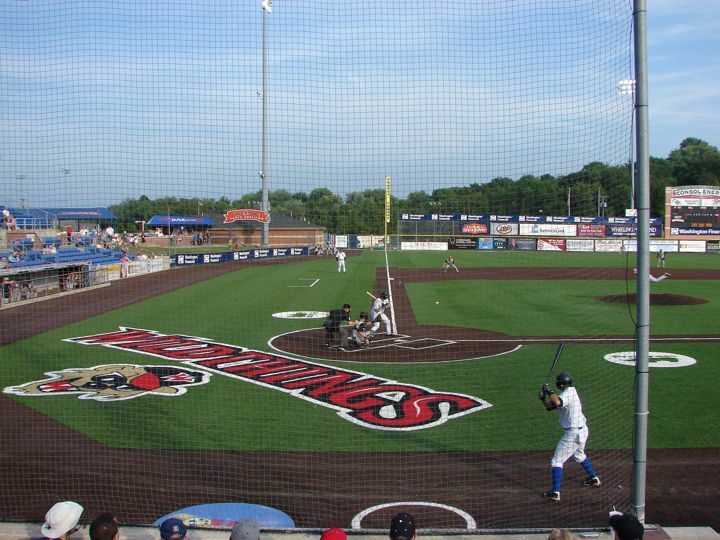 The Wild Things were playing the Lake Erie Crushers and were crushed 15 to 5. 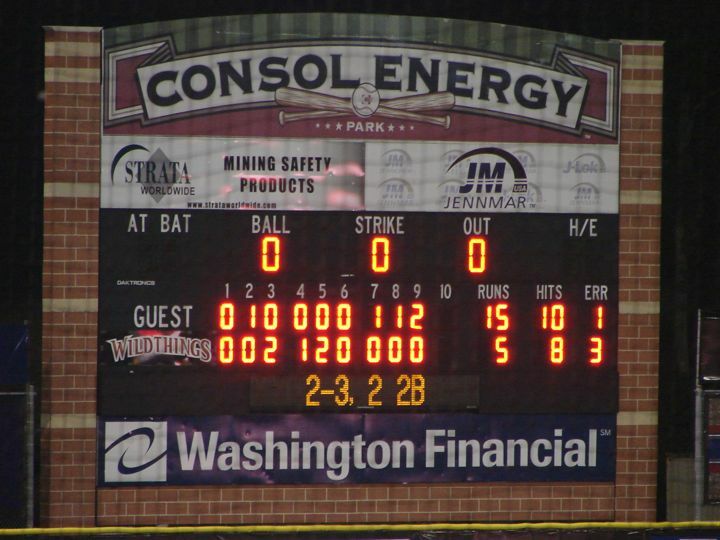 The box score was Crushers R-15, H-10, E-1 and Wild Things R-5, H-8, E-3. 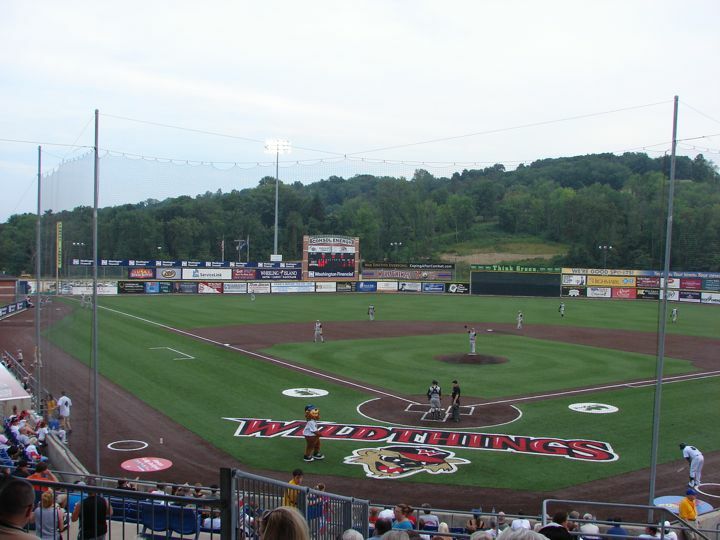 The Wild Things were wild in the 7th inning and gave up 11 runs on two hits before getting the final out with the bases loaded. 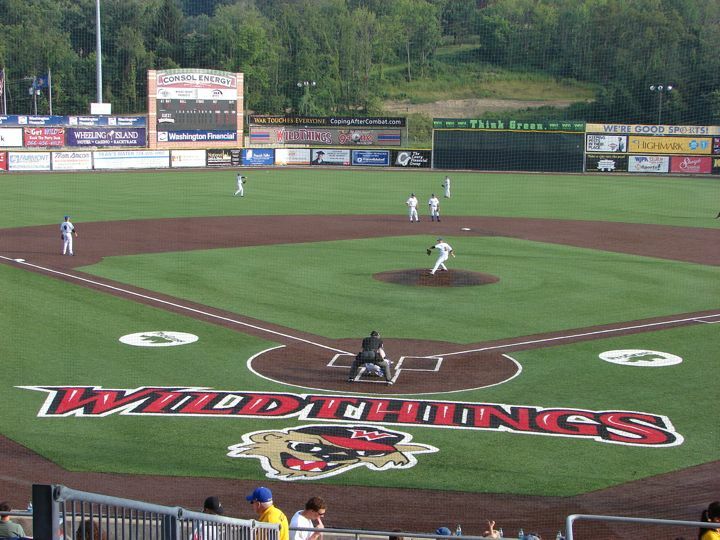 The Wild Things had 5 pitchers, the last one was listed as an infielder who gave up 2 homeruns. 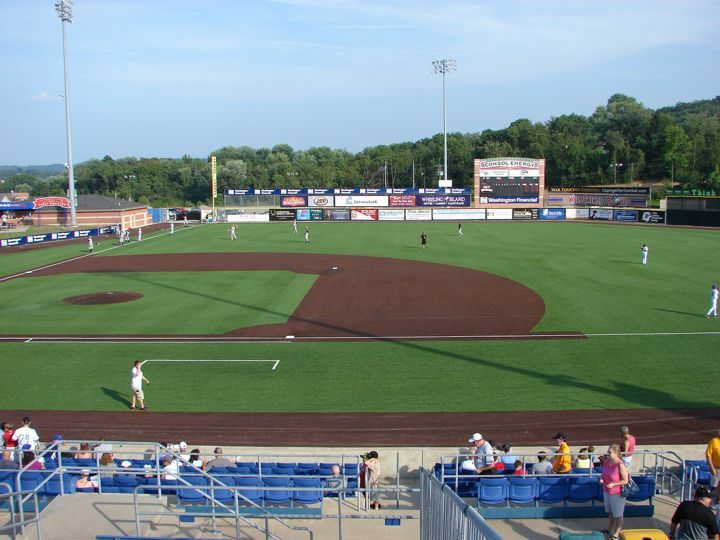 the field lines are RF & LF-325', CF-410' on this turf field. 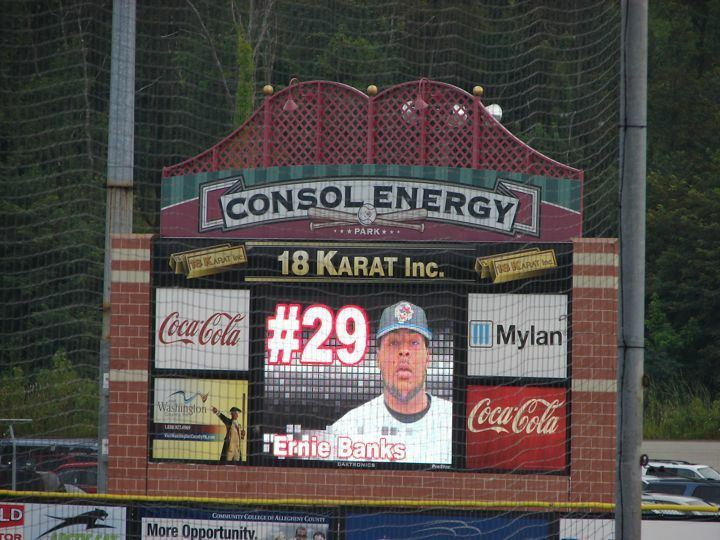 There are two video boards, in left field the score and in right field player information. 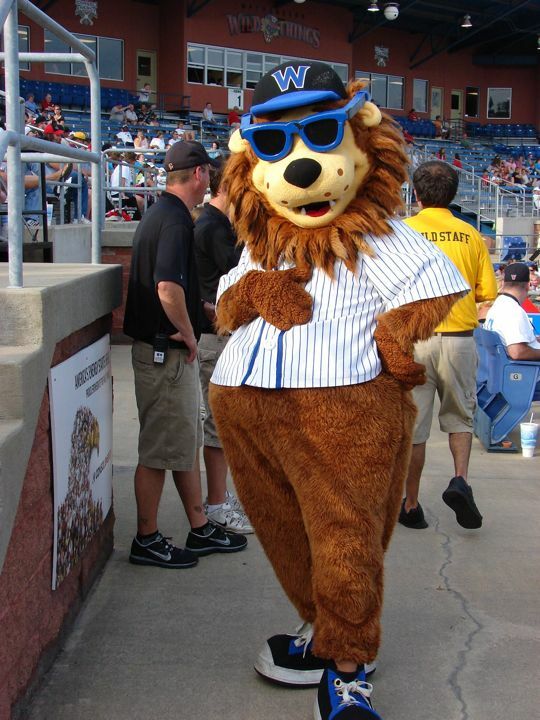 The mascot of course is Wild Thing. 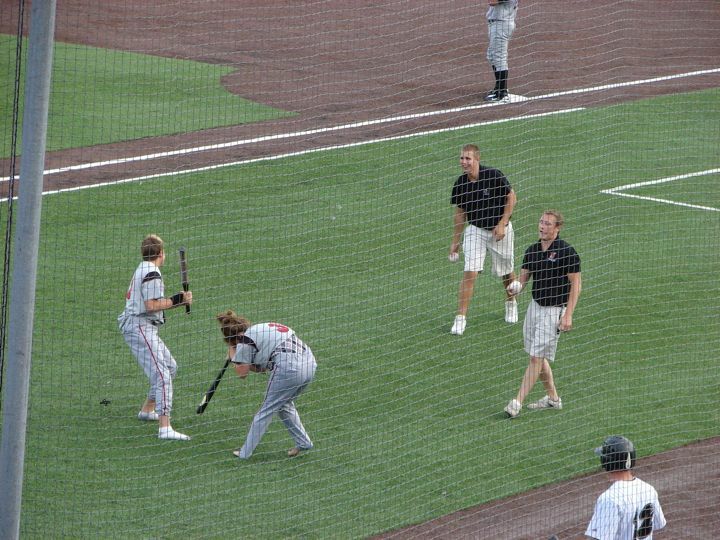 We had been told before the start of the game that we would see some different things during the game. 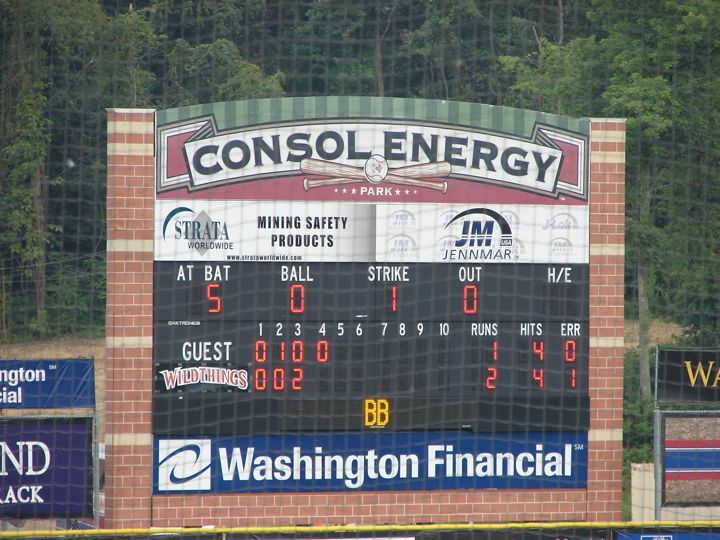 After the 7th inning we were told that that kind of inning was not meant. 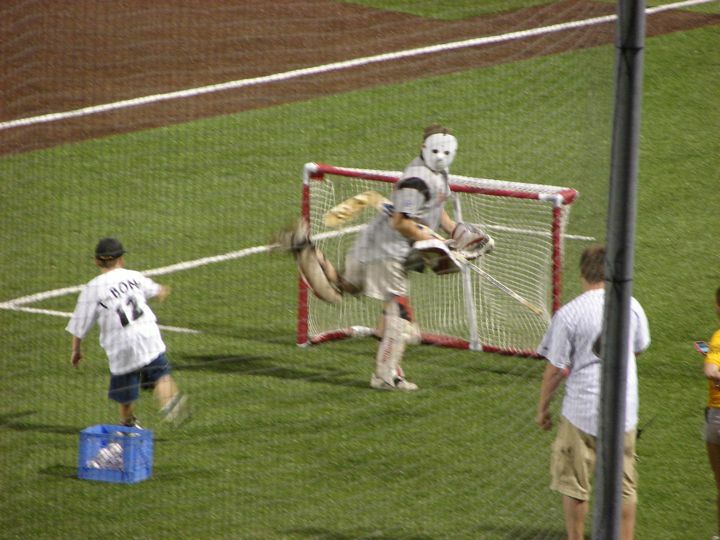 The different things we say were playing horse shoes with toilet lids and T-ball batting stands; throwing wiffle balls past a weirdly dressed hockey goalie; and a dizzy bat race wearing the team uniform, trying to hit a ball, and then running. 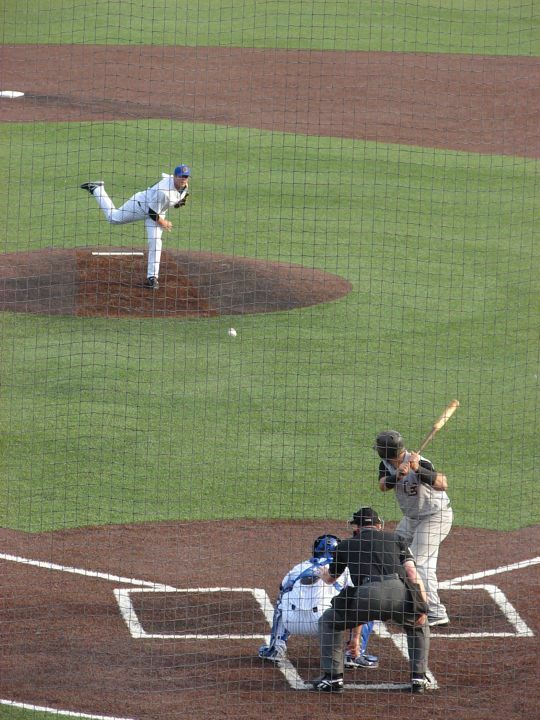 We would like to thank Chris Dugan of the Observer-Reporter for mentioning the website in his next day's column about the game. 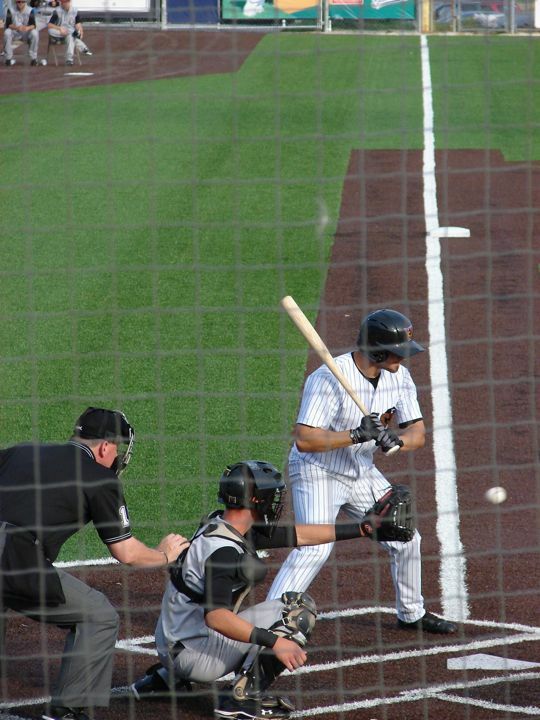 Link to his article.